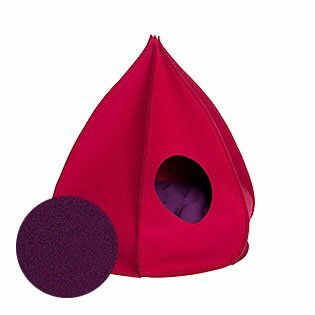 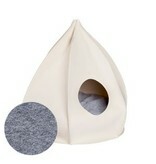 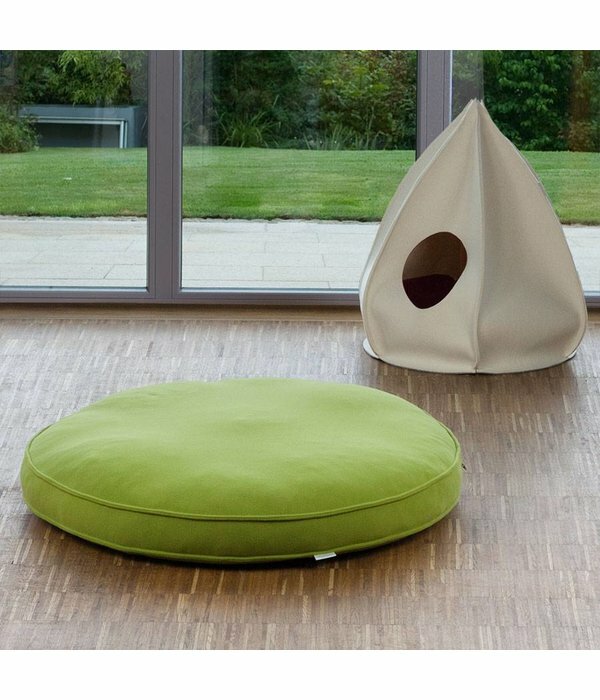 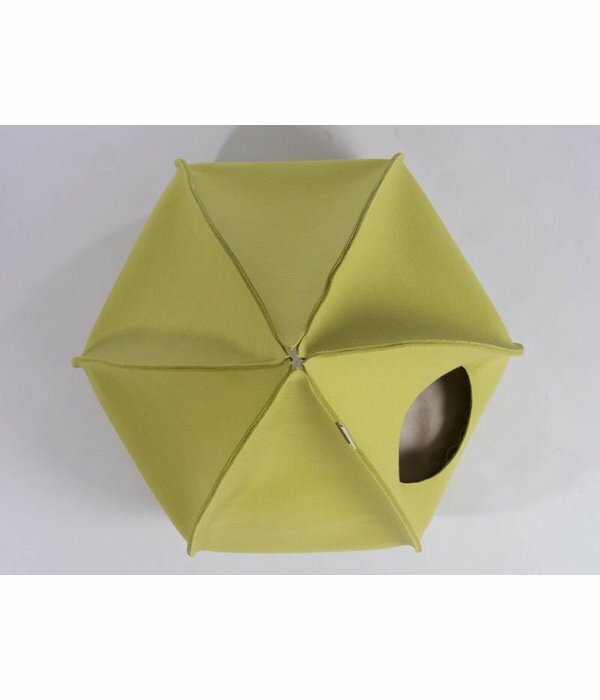 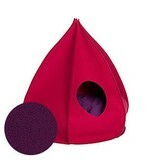 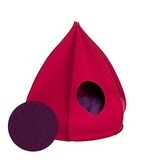 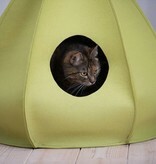 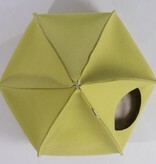 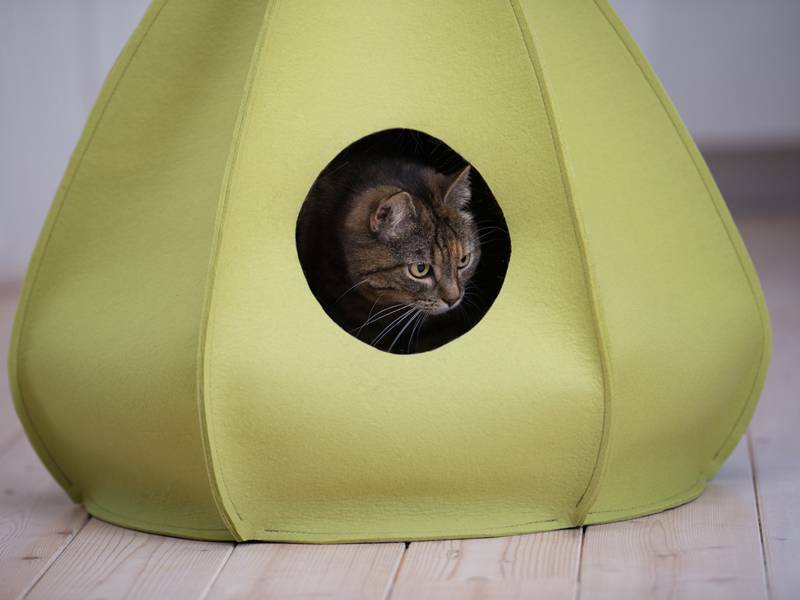 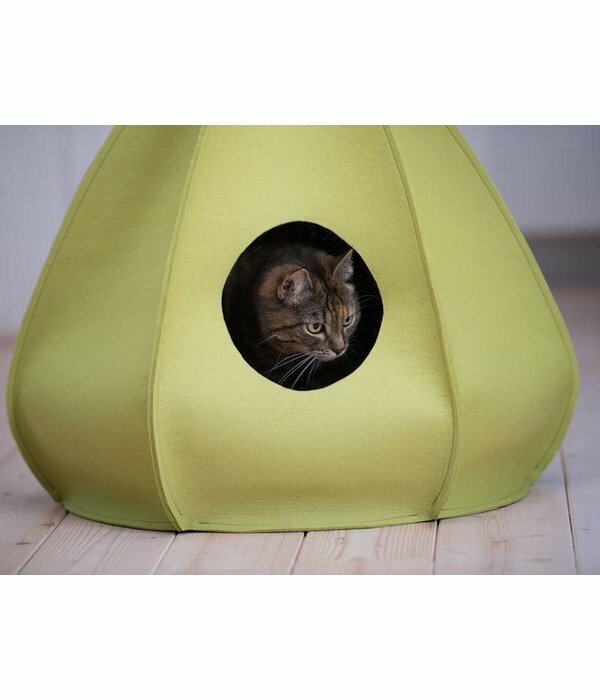 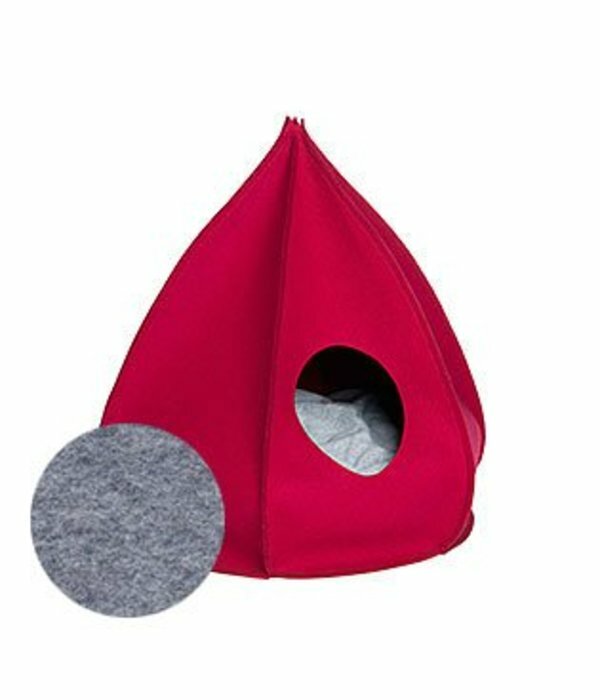 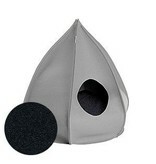 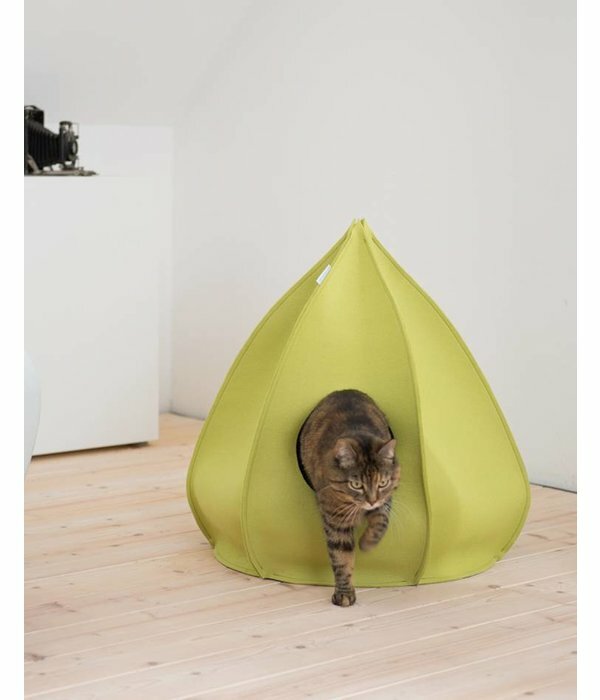 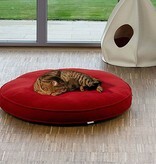 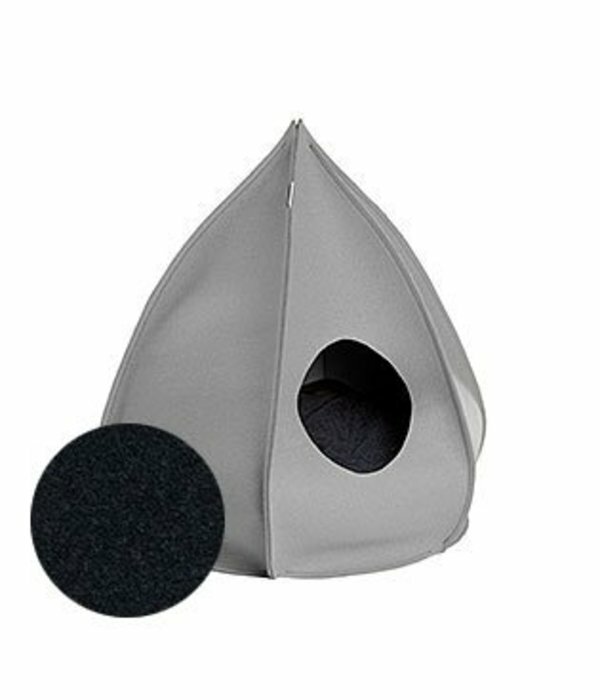 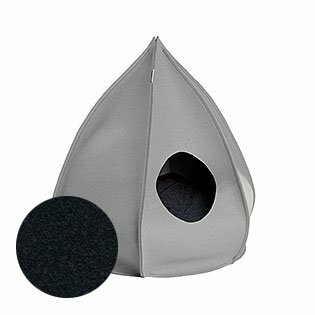 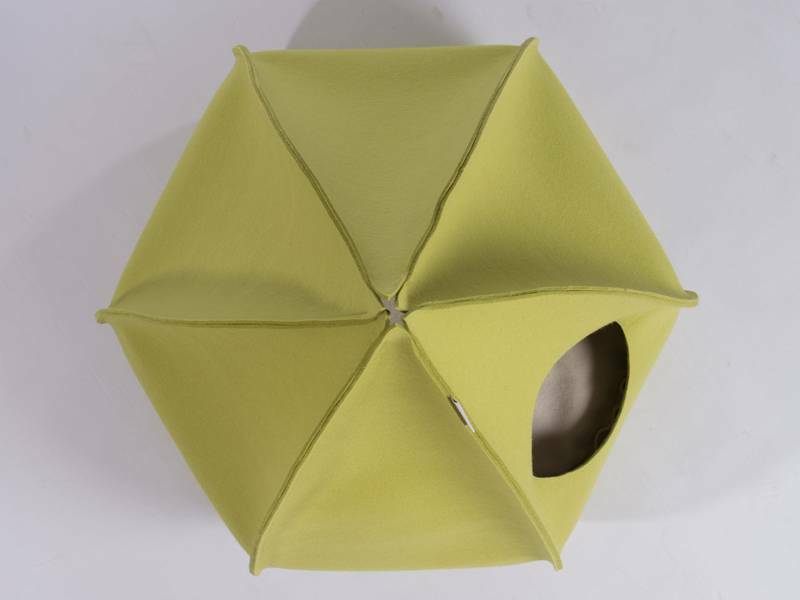 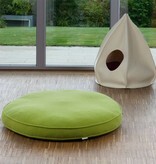 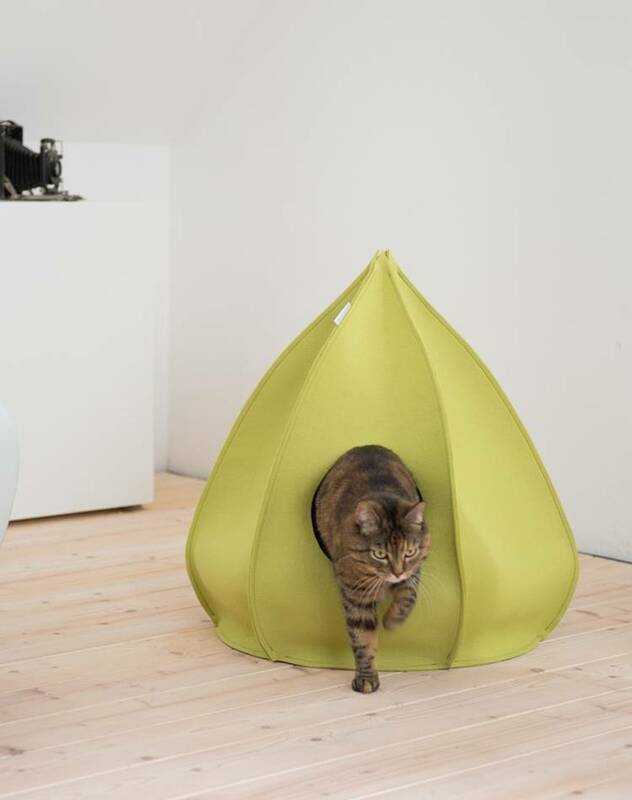 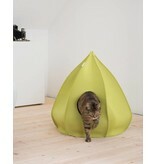 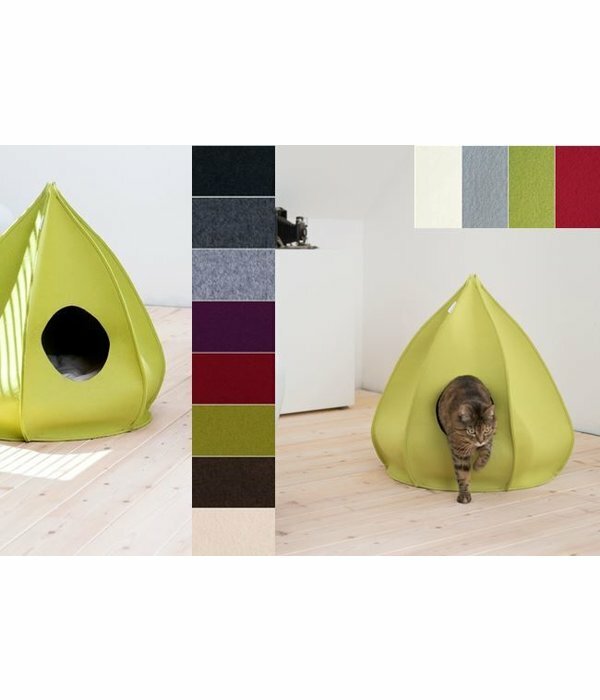 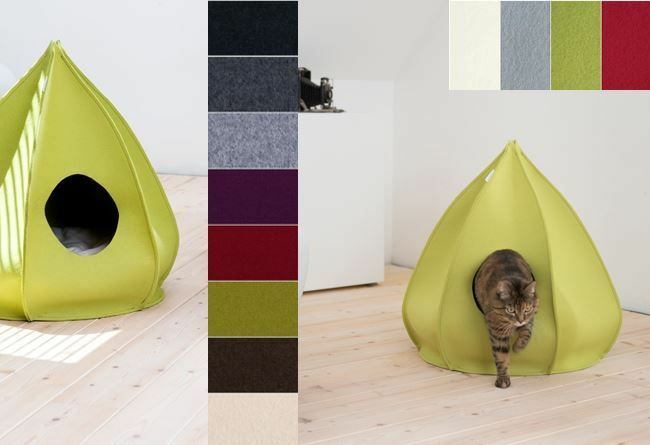 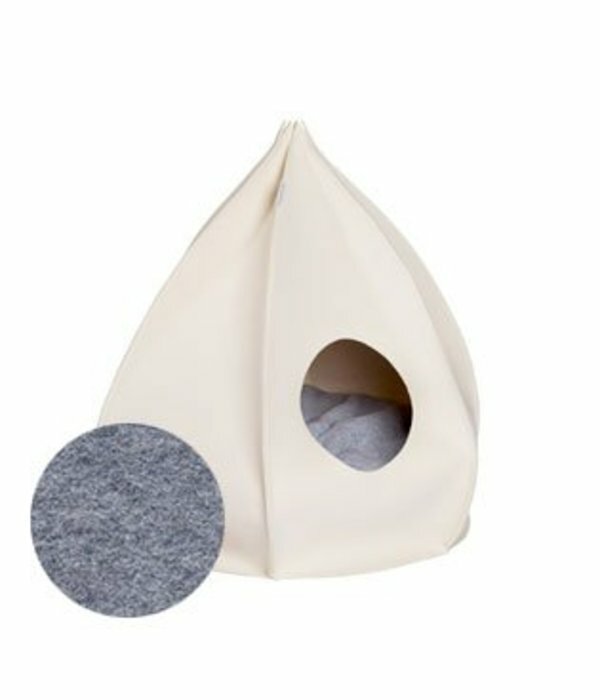 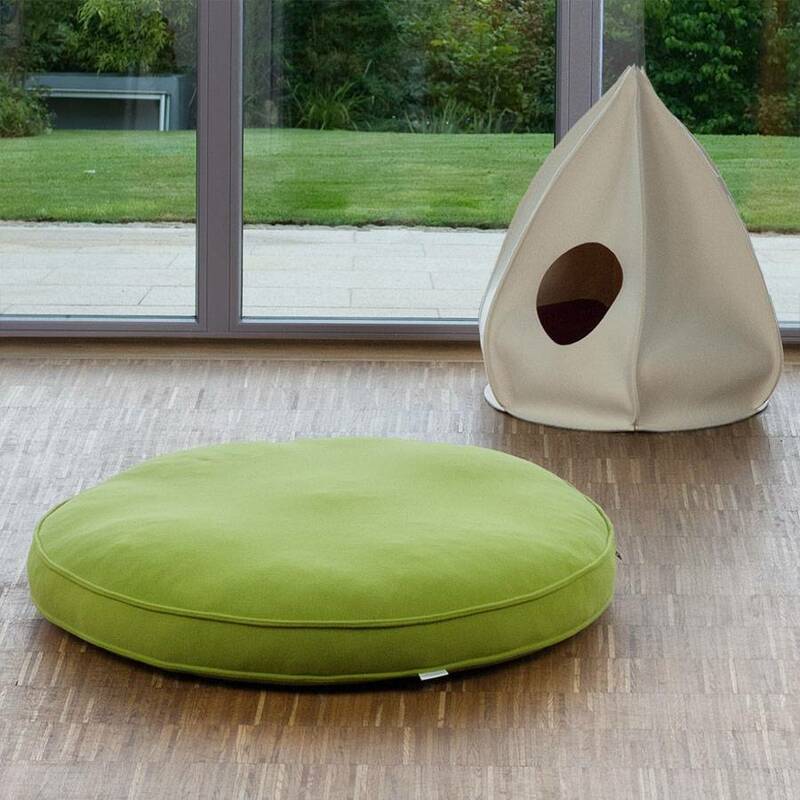 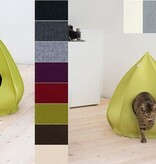 This Cat House Berta is an eye catcher in your home and offers your cat a cozy bed and shelter. entrance: about 18x20cm, so larger than a cat door, but you can cut it bigger if needed. 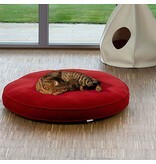 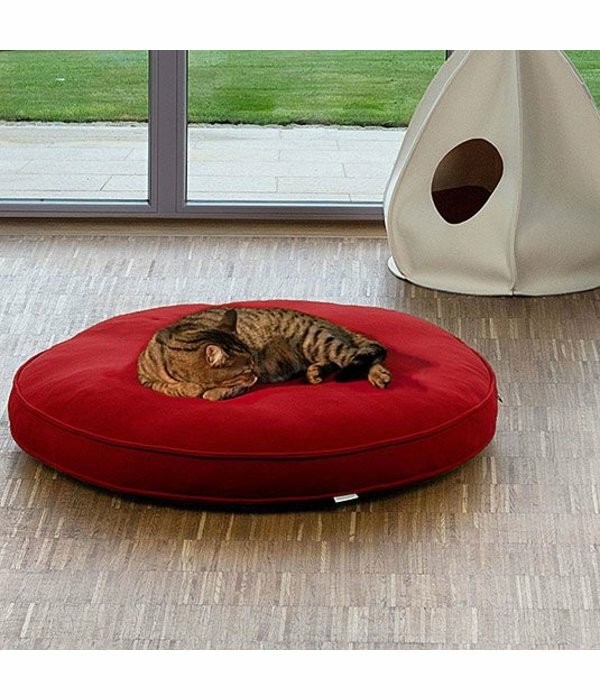 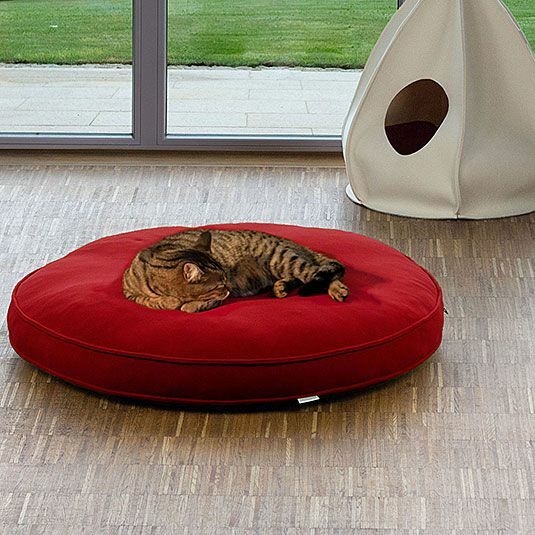 The filling of the cushion is of high quality latex (orthopedic, so suitable for animals with arthritis, dysplasia or stiff joints) and a sturdy fleece (400g/m²) cover. 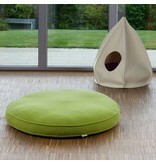 Pillow cover: Machine washable on 40 C° and tumble dry on low heat.